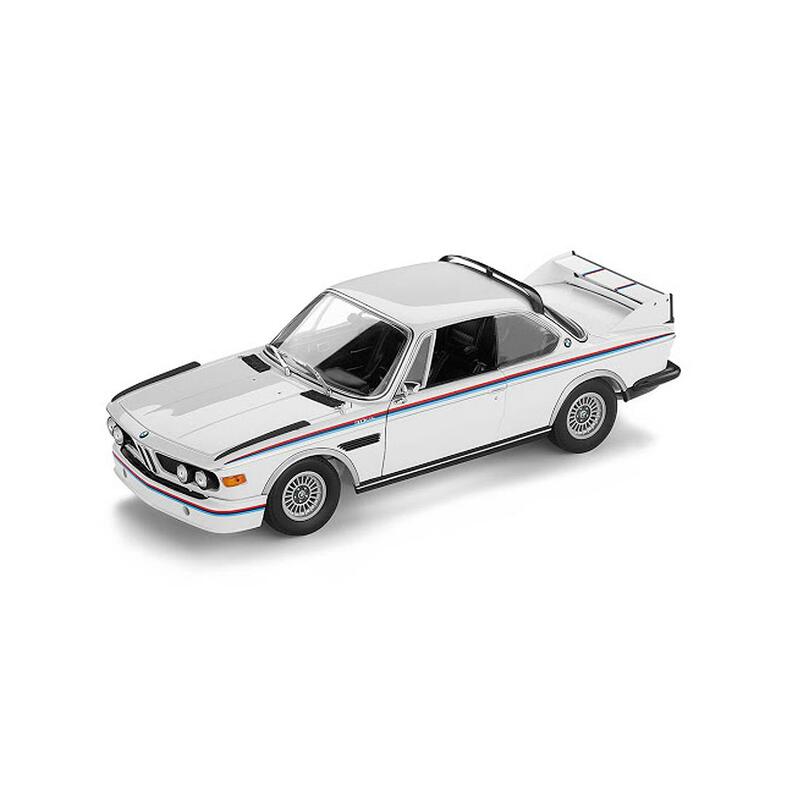 Model of the legendary touring sports car BMW 3.0 CSL. Replica of the aerodynamic, light chassis. Base plate with BMW logo. 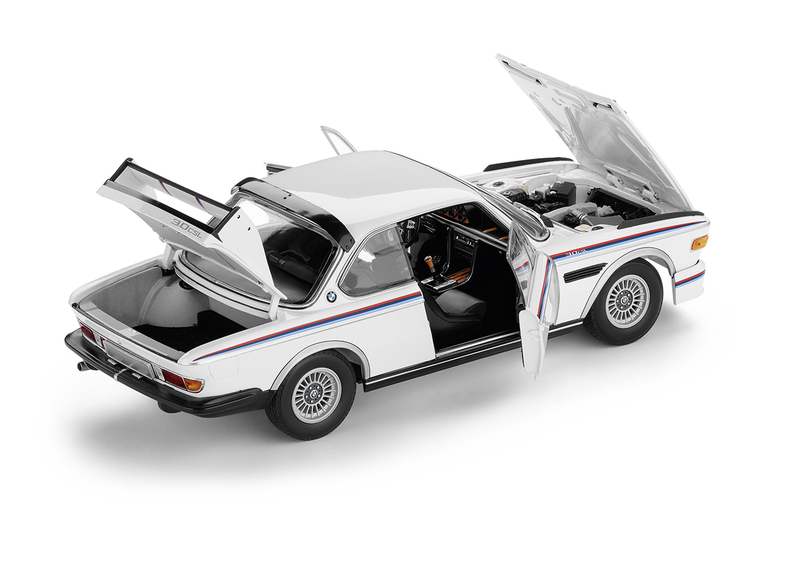 Doors, bonnet and trunk are to be opened. Not suitable for children under 36 months.